Peru’s Sacred Valley, just outside the major tourist city of Cusco, is an enormously popular destination for visitors. As the gateway to Machu Picchu, this beautiful landscape is dotted with traditional villages, fascinating towns and ancient ruins. But unlike most visitors, I didn’t stay for a couple of nights, I ended up settling down. Living in the Valley’s main town, Urubamba, definitely isn’t for everyone. For some, it will be a nice relaxing get away from the hustle and bustle of modern living. For others, it will be mind-numbingly boring. When I first came to Peru, I definitely wasn’t ready to slow down this much. That being said, the first bit of advice I have for anyone thinking of making the move to any small Peruvian town or village is to spend some time in it first. Get to meet a few people, spend some weekends there, get a feel for whether it’s the kind of place you really want to live. At first look, my pueblo itself seems a bit ratty. But once you get to know some of the inhabitants, it’s nice that the place is so small that you will always run into people you know. Soon, you find yourself ignoring the less than attractive buildings around you. Of course, the downside of a place this small is that you can feel like you are in a fishbowl sometimes. Many people choose to live outside of the town itself, where you can really enjoy the beauty of the countryside. Living outside of town also allows you to stay a bit out of the rumor mill. The plus side of a place this small is that if you tell one person that you’re looking for place to live, the news will travel quickly. If you just want a room in an apartment or a house, these are pretty easy to find. Apartments in town are also not too difficult to locate. More of a challenge is to find a house to rent so you may need to make do with something less than perfect until the right place opens up. Once you do make the move, you’ll want to spend at least some time in the actual pueblo, getting to know other people. Misky Sonqo’s is a cafe that is particularly popular with ex-pats. You can almost always find someone you know there or make a new friend. Another popular place is the third floor of the marketplace for menu lunches. The food is reasonably priced and tasty and there are anywhere from 3 to 5 vendors every day making something different. The nightlife in Urubamba is Wednesdays and Saturdays. On Wednesdays, many people start the evening off at The Point and then end up at one of the two local discos, Tequila or Manhattan. On Saturday nights, there is often a party at Kai Bar and Restaurant. The Point and Kai, in particular, are good places for running into people. More than likely, you’ll find yourself running off into Cusco now and then, particularly when there’s something you want to buy that you just can’t find in Urubamba. When I lived in Cusco, many were the times that I asked where to get something and was told I needed to go to Lima. Now, I often get told I need to go to Cusco. Fortunately, it only takes about an hour to get from the terminal in Urubamba to Cusco, making it easy to get a change of pace when you need it. 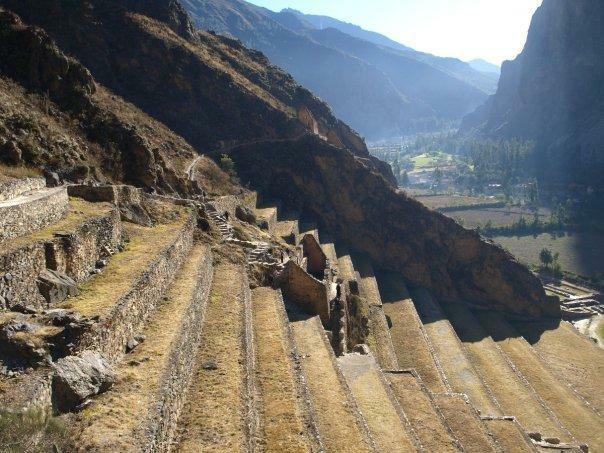 If you’re planning on a shorter visit to the Sacred Valley, Cusco and Machu Picchu, arrange your tour through a Peru travel agent, such as this specialist in Luxury Machu Picchu tours. Maureen Santucci, the author of the “Moving and settling in Peru’s sacred valley” is a travel blogger from Latin America.